The world of science has lost an eminent physicist with the passing away of E C GSudershan, who was nominated for Nobel Prize several times but missed the coveted honour every time. His research interests spanned a wide range of fields from particle physics, quantum optics, and quantum field theory to quantum information theory, gauge theories and classical mechanics. 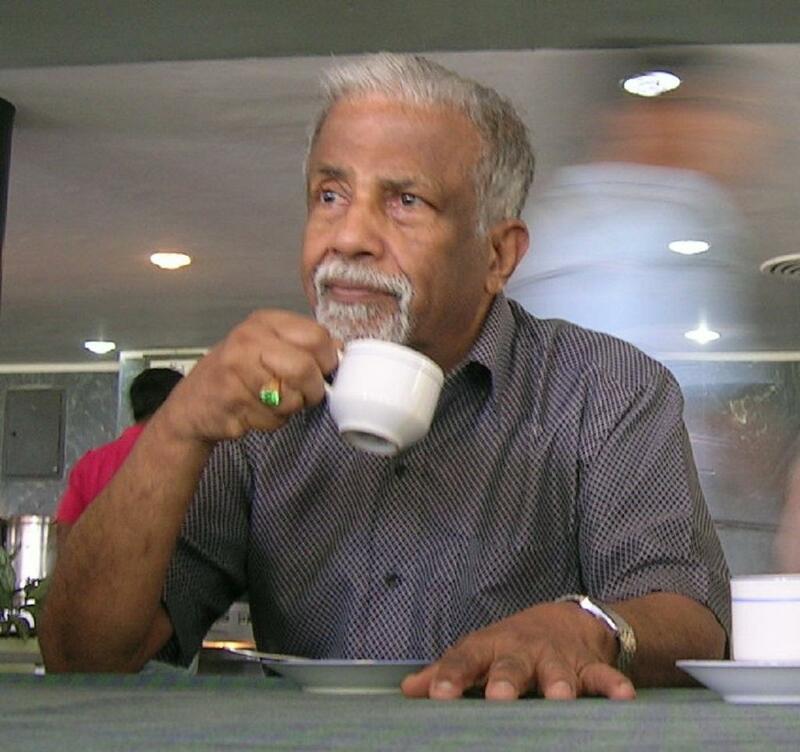 Born on September 16, 1931, at Pallam in Kottayam district of Kerala, he did his M.Sc. from Madras University and Ph.D from University of Rochester, New York. He had his academic career mostly in the US. He passed away at Texas. He was a Professor at University of Texas for the past 40 years. In 1980s, he worked as Director of Institute of Mathematical Sciences at Chennai for five years. One of the most accomplished and renowned theoretical physicists of Indian origin, he is known for his prodigious creative output. He together with American physicist, Robert Eugene Marshak came out in 1957 with what is called the V.A.Theory of weak interactions. Three others, Sheldon Glashow, Abdus Salam and Steven Weinberg, developed it further. It eventually evolved as electro weak theory of weak interactions. The three got the Nobel Prize for their work in 1979. Dr. Sudarshan and Prof. Marshak got left behind. Dr. Sudarshan achieved another breakthrough in 1960s, when he propounded the theory of Tachyons. According to the theory, there should be particles called Tachyons, which had speeds larger than that of light. So far, the particles have not been found experimentally. But, physicists are hopeful. As and when they are discovered, it will be a historical moment as it would markedly change the conception and understanding of the universe. Tachycon is considered as a revolutionary idea within the framework of the Special Theory of Relativity. Even as he missed the Nobel prize several times, Dr. Sudarshan openly expressed his anguish when the Royal Swedish Academy of Sciences chose to give a prize to Dr. R.J.Glauber in 2005 “for his contribution to the quantum theory of optical coherence”, ignoring Dr. Sudarshan’s work. In a letter to the Academy, he said, "In the announcement of the 2005 Physics Nobel Prize, the Swedish Royal Academy has chosen R.J. Glauber to be awarded half of the prize. The prize winners are chosen by the Royal Academy, but no one has the right to take my discoveries and formulations and ascribe them to someone else! "The correct formulation of the quantum mechanical treatment of optics was carried out by me in my paper in 1963. In that I showed that every state can be represented in the diagonal form... This diagonal representation is valid for all fields. "... The irony of the situation is that in spite of all these facts being available in print, the diagonal representation instead of being referred to as the Sudarshan representation is dubbed as either the P-Representation (as if Glauber discovered and named it first) or at best as `Glauber-Sudarshan' Representation. Not surprised with the treatment meted to DrSridhar. If Nobel academy can ignore Mahatma Gandhi for Nobel Prize for peace for following the principle of non violence and award Dr Martin Luther king Jr. for same philosophy, Dr. Sridhar’s too faced same fate. I regret for the loss of Prof. E.C.G. Sudarshan, theoretical physicist and a professor at the University of Texas. Against the Albert Einstein’s assertion that no particle can go faster than light, Prof Sudarshan proposed existence of tachyons, the particles with imaginary mass that go faster than light. On March 12, 2018 , I have reported blue light travelled faster than red light from collision of neutron stars in Discovery Of 235-uranium Fission Taking Place In Collision Of Neutron Stars Cause Gravitational Waves And Electromagnetic Radiation, in Principia Scientific International. You can view my 10 fundamental physics discoveries in ResearchGate when you do google search.